Intense moisture-locking cream infused with age-defying antioxidants of Northern peony, linseed and hyaluronic acid. Hydrates, replenishes and calms dehydrated and stressed skin to restore youthful radiance. Acts as a protective layer against environmental damage, this soft-textured cream reduces the look of fine lines, and promotes optimal hydration. Dramatically increases hydration compared to control. The exquisite, antioxidant-rich northern peony intensely hydrates and has powerful age-defying properties, whilst linseed polysccharides form a moisture-locking film. 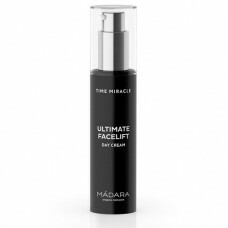 Natural Lipids strengthen the skin barrier. Enriched with calming beet root betain and hyaluronic acid to restore skin plumpness and radiance. How To Use: Apply onto a cotton pad, wipe over face, eyes and lips.